Buy 25T-30T/D Big Model Cold Pressed Coconut Oil Press Machine - Shandong Leader Machinery Co.,ltd. It uses high carbon steel, which through high frequency quenching and heat-resisting, it is high hardness and strength, good abrasion resistance that suit for high temperature and high pressure continous working, all this had improved the service life of the palm oil press machine for decades. Screw palm oil press is a popular type of oil press machine, mainly composed of feeder, gearbox, pressing chamber and oil receiver. Some screw palm oil press machines are equipped with electric motors as required. Pressing chamber is the key part which contains a pressing cage and a screw shaft rotating in the cage. An electric cabinet is also necessary to control the whole working procedure. Different from the automatic screw oil press machine, this screw palm oil press machine has its own features and markets. 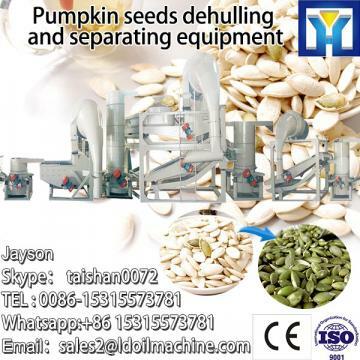 Why Choose 6YL Screw palm oil press machine. cold pressed coconut oil machine? Make full use of your abundant oil seeds and start a low investment business, don't miss our screw palm oil press machine. Our engineers study and develop this new Screw palm oil press machine according to the suggestion and experience of the more users. After two years testing and using, which show that It is the biggest once Screw palm oil press machine, with the higher capacity and lower consumption, the higher rate of output oil and lower resided oil in the cake. Our company has engaged in producing and exporting 25T-30T/D Big Model Cold Pressed Coconut oil press machine for many years, and until now, our machine has exported to overseas market, such as Brazil, India, Indonesia, Russia, Thailand and so on, and get the foreign customers' unanimous praise. We believe that you purchase Shandong Leader Machinery Co.,ltd. 25T-30T/D Big Model Cold Pressed Coconut oil press machine is your best and sensible choice.